Lustia Nkhoma is an enterprise development officer at the Clinton Development Initiative (CDI) of the Clinton Foundation in Malawi, catalyzing creation of opportunities for economic empowerment of farmers. She is working towards obtaining her BS in Rural and Community Development, has an advanced diploma in Rural and Community Development, a certificate in Cooperative Management [Malaysia], and a certificate in Financial Accounting. 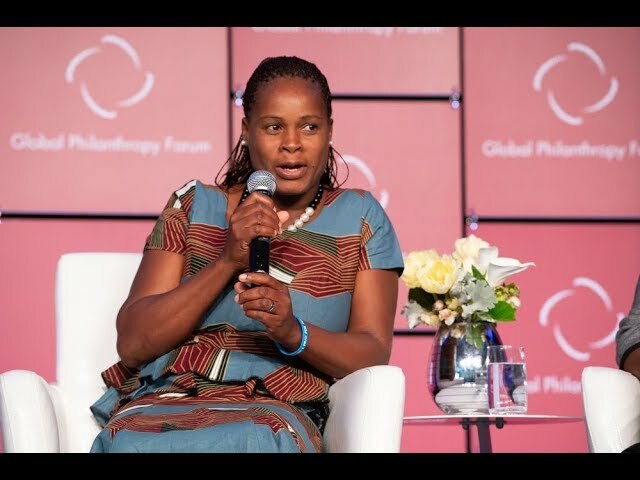 Previously, she worked for COOPI and Malawi Enterprise Zone Association as finance and agri-business manager in charge of Malimba Cooperative Society, and Opportunity International Bank of Malawi as an agricultural officer supervising disbursement and repayments collection of agricultural loans. In 2015, she was recognized by the Clinton Foundation as a “Ceiling Breaker” during the Women’s story Month. In 2016, she was recognized by the Food Tank as one of the 25 global “Influential Women in Food and Agriculture”. In November 2016, she attended the Food Tank Summit in Chicago. Nkhoma joined CDI in 2012 as a field officer, responsible for delivery of agronomy services and supervision of disbursement and repayments collection of farm input loans. Since then she has advanced twice in her roles, first, to field coordinator where she supervised a team of eight field officers and now to enterprise development officer where she supports farmers in agribusiness development and market-oriented farming activities.